More heavily taxing cheap wine along the lines recommended by the Henry Review would benefit Australia to the tune of $230 million per year, the first rigorous benefit cost study has found. 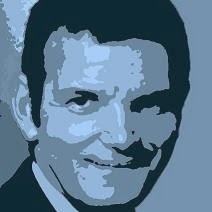 The ground-breaking benefit cost analysis by Melbourne economic consultant John Marsden is intended to form the basis of a Productivity Commission study into alcohol tax should one be commissioned. It was unveiled at a Canberra seminar Monday by productivity commission deputy chairman Mike Woods who praised its rigour. The 2010 Henry Tax review described Australia’s Australia’s system of differently taxing beer, spirits and wine as “incoherent” nothing that while beer was taxed on the basis of alcohol content wine was either not subject to alcohol tax (if it was produced in small wineries) or taxed on the basis of price meaning bottles of Penfolds Grange pay around $100 in tax while a $10.99 two litre wine cask is taxed at just $1.59. 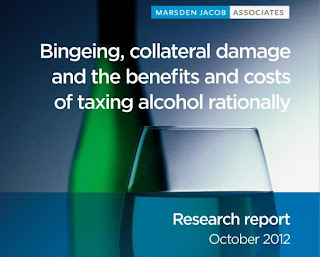 The Marsden report attempts to quantify the benefits and costs of adopting Henry’s recommendation which would tax all alcohol at the rate applying to draft beer. It is deliberately conservative, choosing not to count as a benefit reductions in the costs of harm to drinkers themselves and reductions in the costs of alcohol related absenteeism. Among the benefits it does include are reduced incidence of motor accidents, alcohol related violence, burglaries and use of the criminal and justice and child protection systems. It values carers time at one tenth of average weekly earnings rather than at market rates. The study identifies as the costs of adopting the Henry recommendation reduced consumer enjoyment, amounting to $100 million per annum. The benefits in reduced harm to others amount to $300 million per annum, producing a net benefit of $230 million per annum. It's a truly major piece of work. Enjoy.